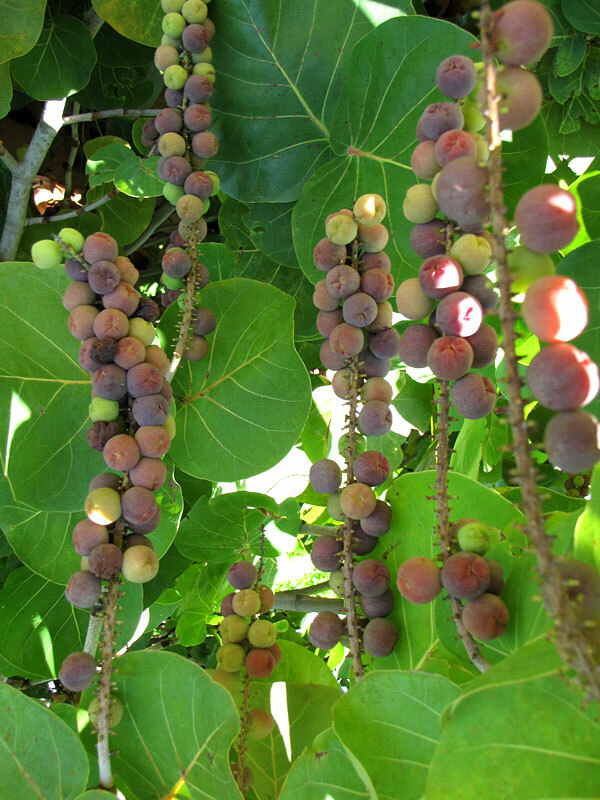 TROPICAL JELLIES AND JAMS – Sea Grape Trees have large round leathery leaves with light red veins that provide shade as the trees stretch upward. Also known as (autograph tree) passersbys often write messages on the leaves lasting up to 5 years. Its tropical appearance makes it popular for use as hedges. Uvifera looks quite regal in a container on the patio. The fragrant white flowers eventually give way to edible grape like fruit clusters which turn sweet and red when ripe.